Always look on the bright side of life! Plan your next holiday adventure in BRIGHT of course! The stunning alpine village is beautiful and all together family friendly especially in the heart of town. 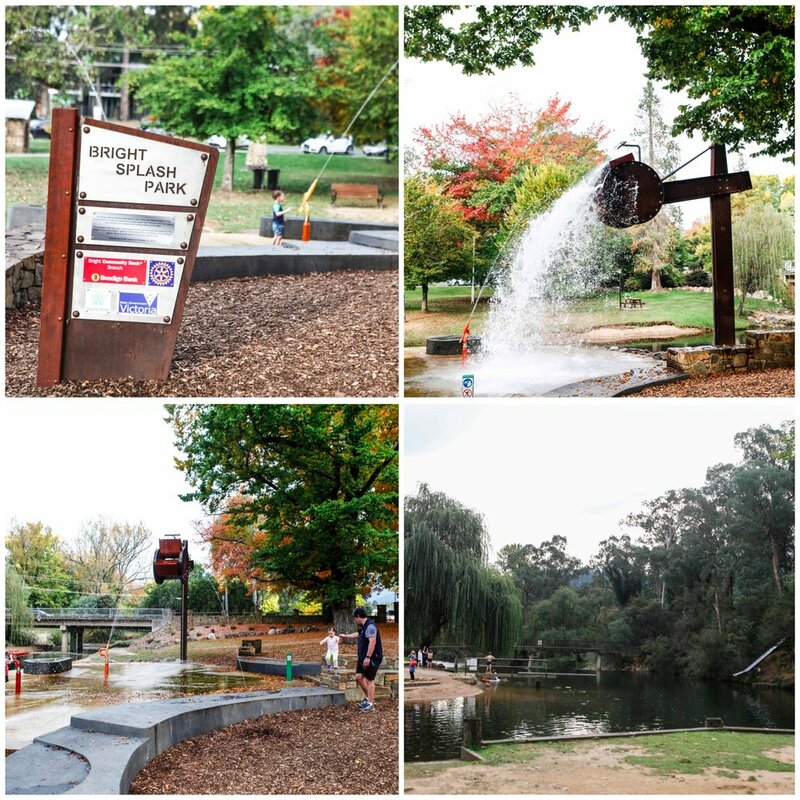 The Ovens River flows right through this tourist Mecca and it's summer highlight has to be the Splash Park. The free water play zone takes full advantage of the river and lets the kids cool off safely without having to bomb into the river - although that is an option too. The tiered playzone is dominated by the enormous tipping bucket. Mamma keeps thinking it looks like a rooster but this is not a friendly chook when it fills its beak and dumps the water in the ground below. 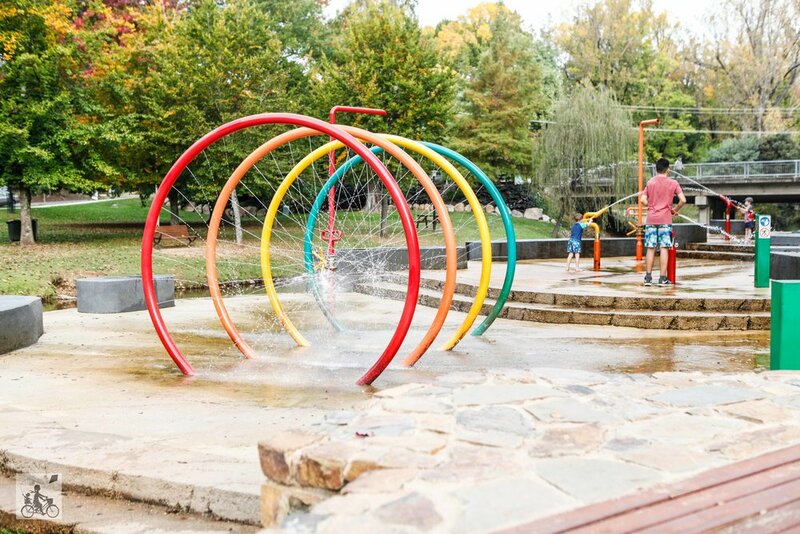 There are plenty of water features to explore with spay guns, misting hoops and bubblers throughout the kids might just forget about the river itself. Speaking of the river though, there are fun ways to enter the water too - the Lions waterslide, the diving board and the old school metal slide on the opposite bank of the river. Mamma's special mention: there are dry play options in this park area too with a brilliant and massive adventure style playground just a stones throw away, plus the Bright Brewery to fill up on some tucker and please Mum and Dad.